It’s Monday! 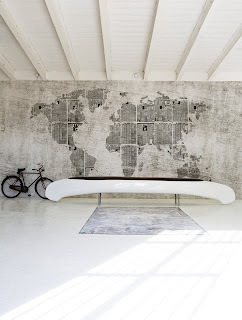 And time for a quick shot of recycled / repurposed / upcycled DIY inspiration. Still confused over those terms? Check out this quick and easy to understand post to help you make the right distinction. It’s amazing how a can of spray paint and a little fabric can revive a mismatched set of chairs – via Decor Demon. This recycled canoe – turned – bench is a showstopper, but don’t miss the old newspapers on the wall in a map outline of the world continents – via Wabi Sabi. 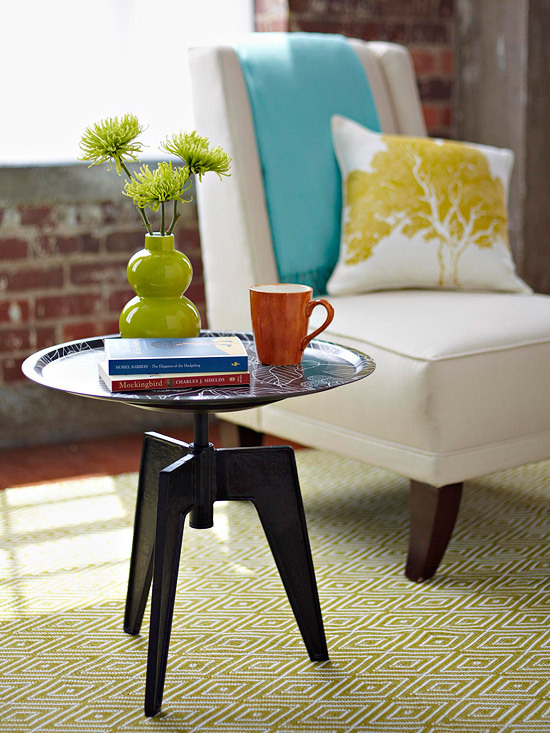 An adjustable chair base becomes a funky little side table – BHG via Decor Hacks. Can you believe this desk is made from recycled piano parts? – via GadgetSponge. Well this is a twist! 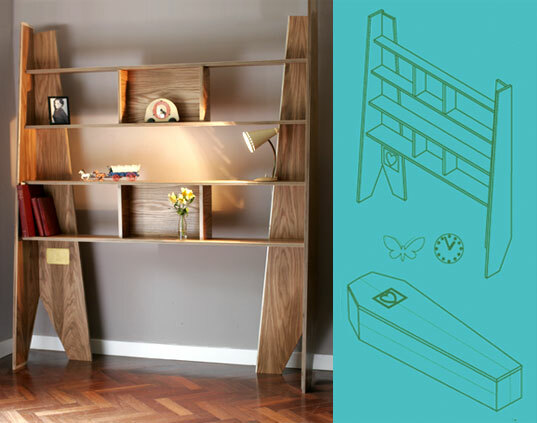 These beautiful shelves will repurpose as a coffin at the end of your life. A bit creepy…but clever. William Warren via Inhabitat. Repurposed suitcases are not just for dogs…like these cool suitcase chairs and stools via Just Stuff I Find. Now that’s the way to get the week started!